The acclaimed retelling of the world’s best-loved fairy tales by the #1 New York Times bestselling author of The Golden Compass and The Book of Dust—now in paperback, and with 3 new tales! Two centuries ago, Jacob and Wilhelm Grimm published their first volume of fairy tales. Since then, such stories as “Cinderella,” “Snow White,” “Rapunzel,” and “Hansel and Gretel” have become deeply woven into the Western imagination. 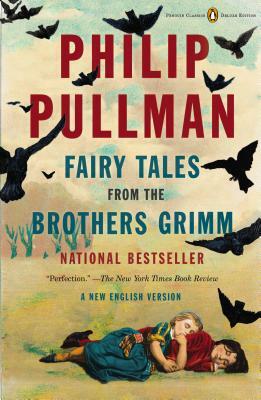 Now Philip Pullman, the New York Times bestselling author of the His Dark Materials trilogy, makes us fall in love all over again with the immortal tales of the Brothers Grimm. Philip Pullman’s His Dark Materials trilogy (The Golden Compass, The Subtle Knife, The Amber Spyglass) has sold more than fifteen million copies and been has published in more than forty countries. The first volume, The Golden Compass, was made into a major motion picture starring Nicole Kidman and Daniel Craig. Pullman is at work on a companion His Dark Materials novel, The Book of Dust. He lives in Oxford, England.